This unique combination of pure luxury is the perfect gift for those who only want the best. This ultimate luxury gift unites the luxury of caviar, the black gold, with French champagne, the yellow gold. This delicious selection “Connoisseurs” Caviar by the prestigious Imperial Heritage satisfies even the choosiest refined palates and it is most appreciated by the best connoisseurs in the world. 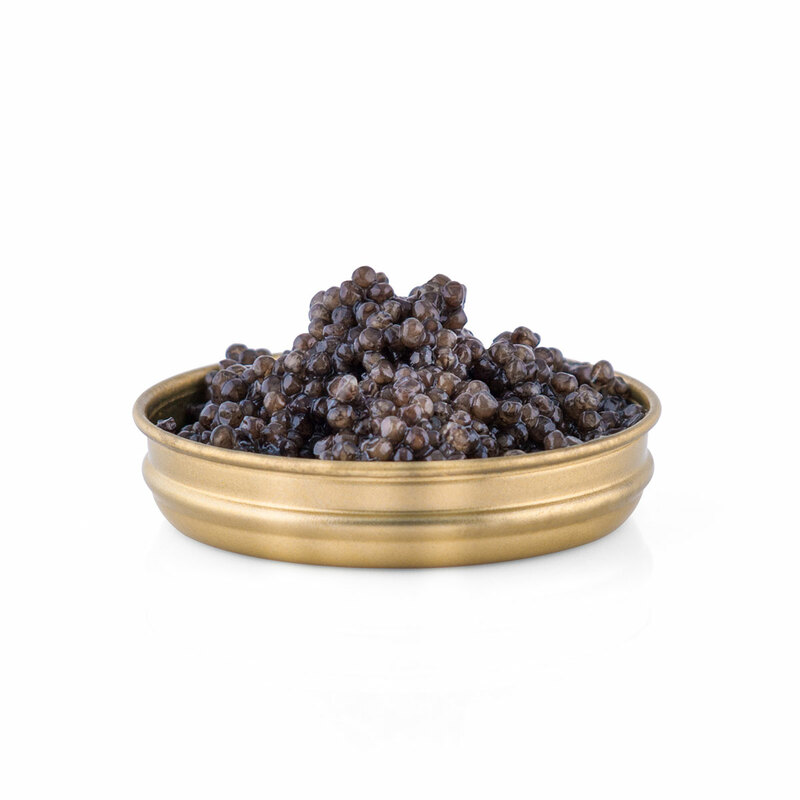 The caviar originates from the Siberian Sturgeon and offers a crispy, nutty flavor with a long subtle after taste. Its medium-sized, dark grey to black shiny pearls, are glossy in appearance. 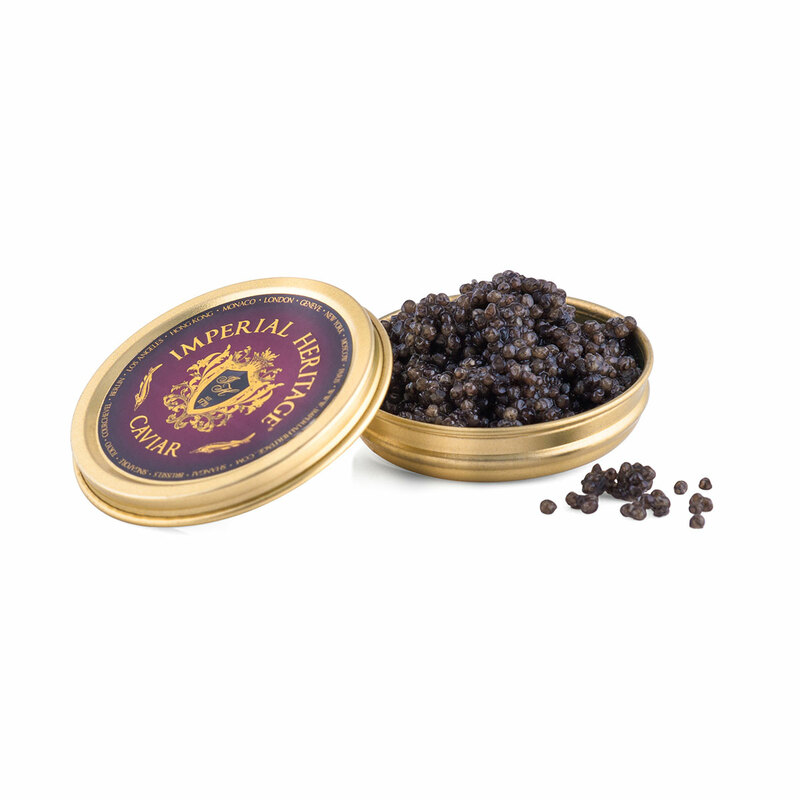 This caviar has ripened with character, resulting in its full flavour. 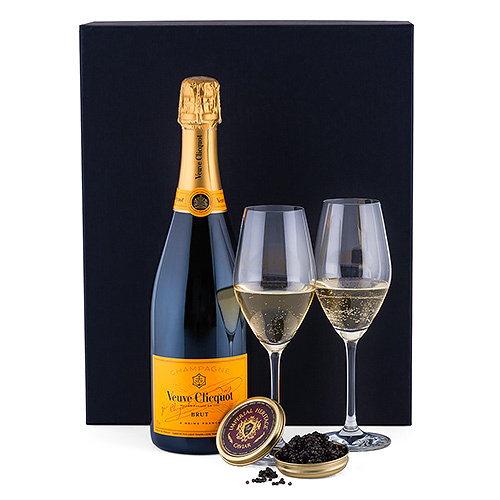 The Veuve Clicquot champagne enhances the bursting flavor of this luxury delicacy. A firm structure dominated by Pinot Noir, rounded with a touch of Pinot Meunier and with the elegance and finesse of Chardonnay. 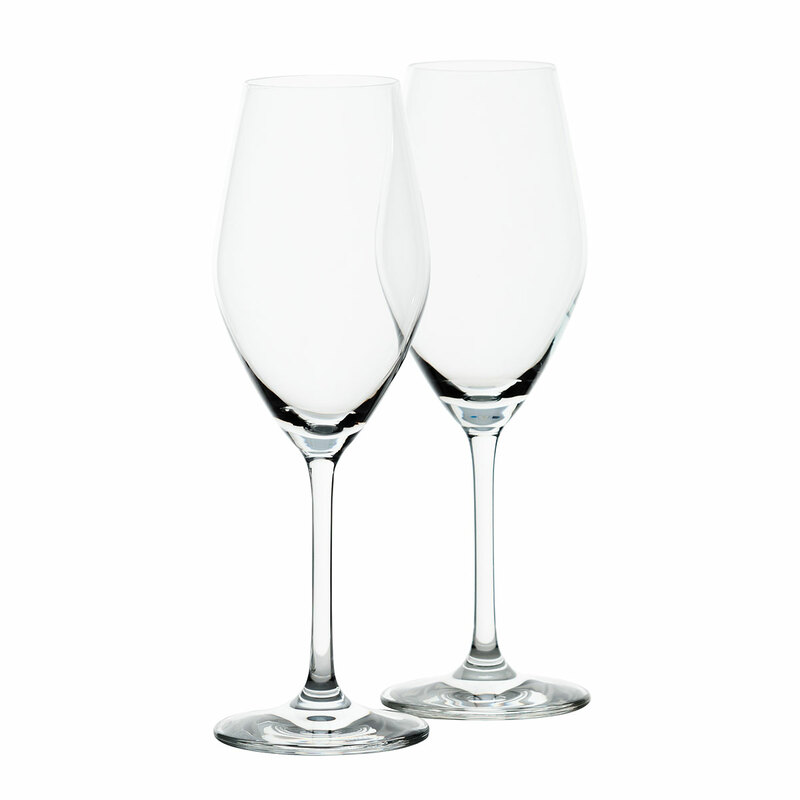 Celebrate successful a business year, special occasions or enjoy the good life with this gift with two crystal champagne glasses from Schott Zwiesel and treat business relations, friends, relatives or yourself to this ultimate luxury! Founded in 1772, French Champagne House Veuve Clicquot is known for creating Champagne that lives up to their motto: "Only one quality, the finest". The quality of their Champagnes comes from their exceptional vineyards, which boast outstanding terroir and the highest quality grapes. 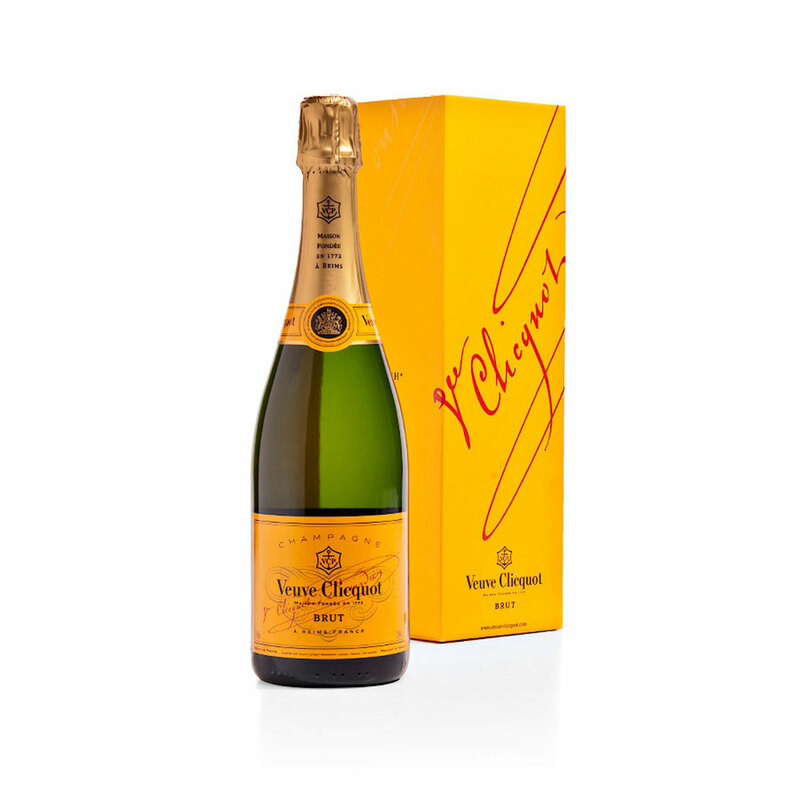 Veuve Clicquot Brut Yellow Label is created from a blend of Pinot Noir, Pinot Meunier, and Chardonnay grapes. A high proportion of reserve wine is added to ensure continuity from year to year. The result is a Champagne that is well-rounded with elegance and sophistication. Complex on the palette with a pleasing nose, this distinctive Champagne is perfect for all of life's most important celebrations.